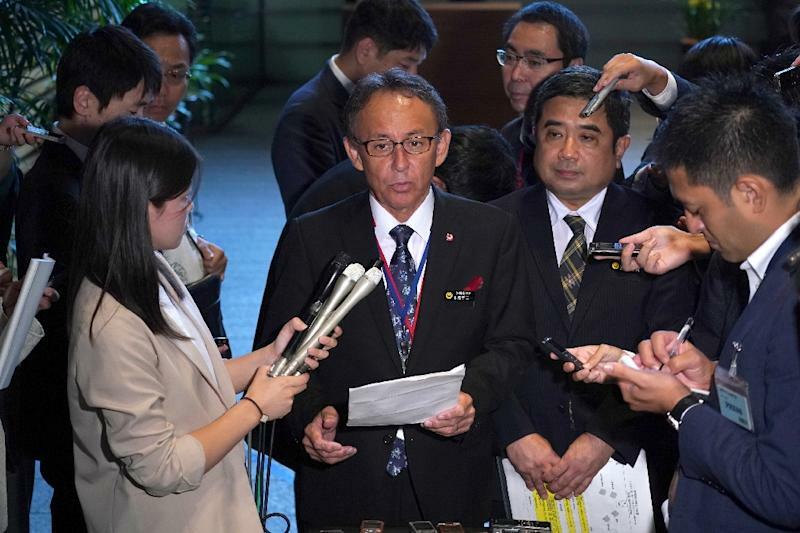 The newly elected governor of Japan's Okinawa said Friday he will take the island's long-running concerns about US military bases there directly to Americans when he visits the country next week. Denny Tamaki, born to a Japanese mother and an American US Marine father, said he wanted to see Tokyo and Washington spread the burden of hosting US troops more evenly across Japan. "I am not asking for immediate shutdown and withdrawal of US bases," he told a press conference in Tokyo. "The reality that the Okinawan people face is that we don't know to whom we should voice our frustration," Tamaki said. He will go to Washington and New York to meet with local politicians and journalists and said he was hopeful his mixed background would help persuade Americans to recognise the views of Okinawans. "After the (US) midterm elections, I as a person who has roots to both Japan and the US am going there. I hope it will have a media impact," he added. For decades, Okinawa residents have asked for some of the bases to be moved, with resentment growing after a string of accidents and crimes committed by US military personnel and base workers. But the location of Okinawa, which sits near Taiwan, is of huge strategic importance for US forward positioning in Asia. As a solution, Prime Minister Shinzo Abe's government has pushed a plan to move an unpopular US base to a new, remote location on the island, part of which will be obtained through land reclamation. But that has angered many Okinawans who want the base moved off the island altogether. As Tokyo moves ahead with plans to build the new facility, Tamaki vowed to stand in its way. "The central government has been trying to build (the new facility) for 20 years now. It is not being built. The opposition of local residents is clear," he said. Last month, Okinawa lawmakers voted to hold a non-binding referendum on the relocation plan. While it has no legal standing, a vote against the move is likely to pile fresh pressure on the government over the issue.